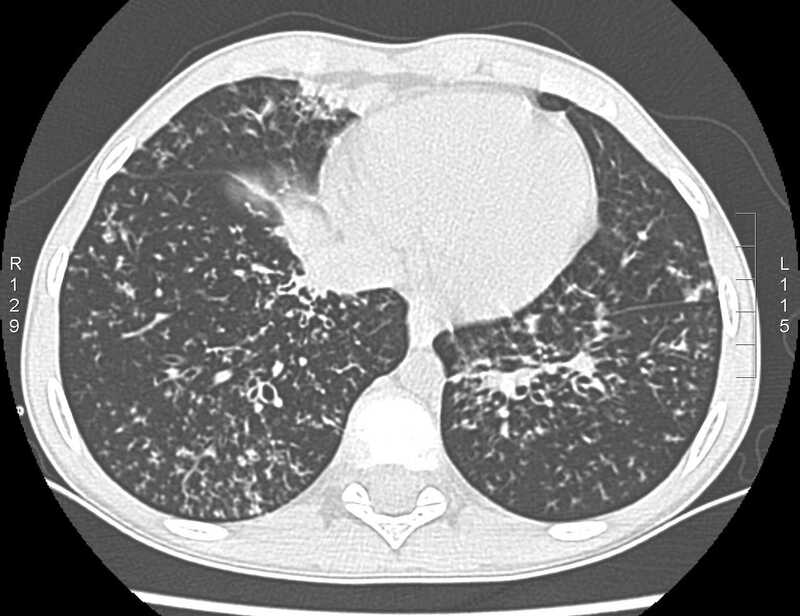 This pathway provides guidance on the imaging of paediatric patients with recurrent pneumonia. 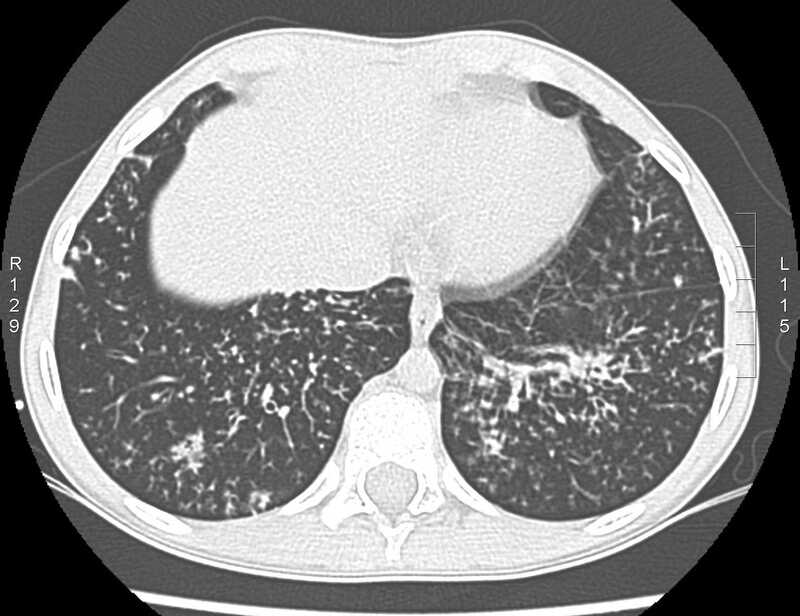 Image 1a and 1b (Computed Tomography): Mild bilateral bronchiectasis predominantly involving the lower lobes. 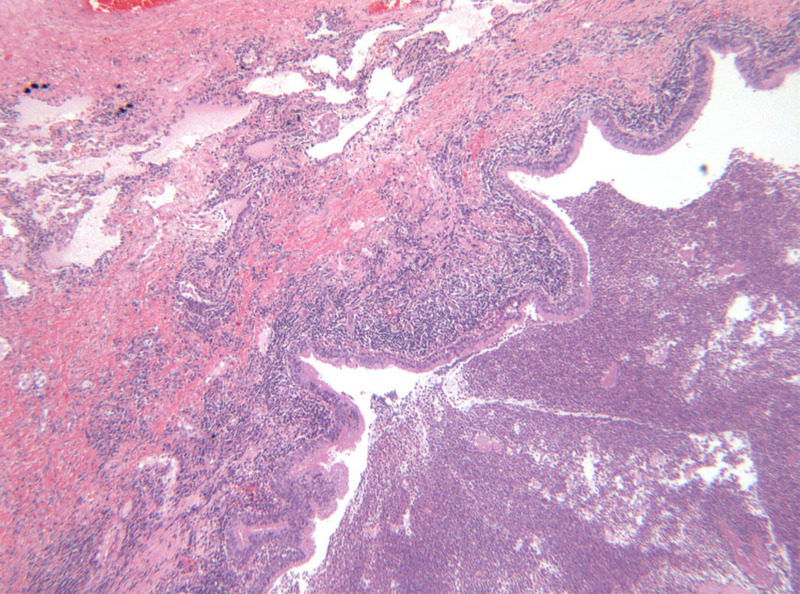 There are multiples areas of "tree-in-bud" bronchiolitis. No areas of ground glass opacification are identified. 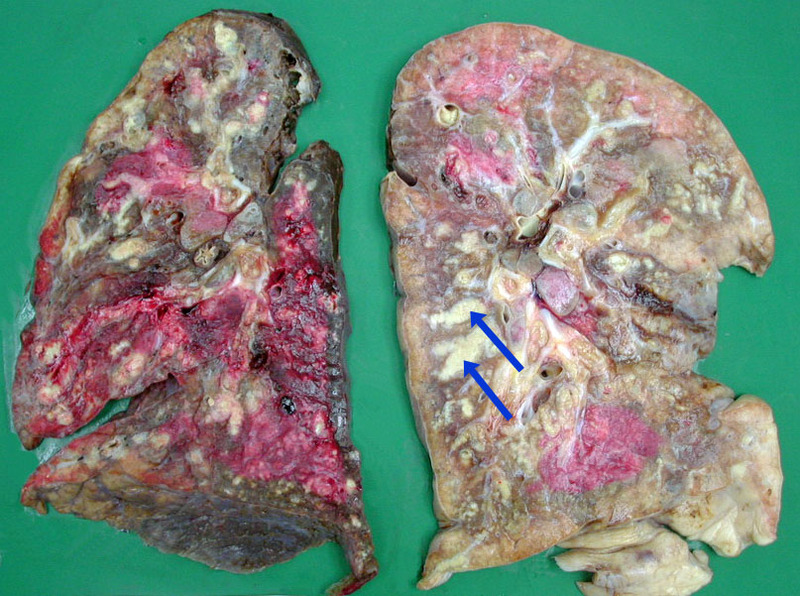 Image 2a: Pneumonectomy showing grossly dilated bronchi with mucous plugging (blue arrows) and distal consolidation.